The future of science is already here… and mostly Asian! His name is Pranav Mistry and he is the perfect model of new stunningly brilliant Asian students who are busy reshaping our future. He is currently studying in the Fluid Interfaces Group at MIT’s Media Lab. Before joining MIT he worked as a UX Researcher with Microsoft. He received his Master in Media Arts and Sciences from MIT and Master of Design from IIT Bombay. But, above all, he is the inventor of SixthSense, a wearable device that enables new interactions between the real world and the digital world. I wanted to introduce Pranav Mistry to you, not only because he is one of the most brilliant and creative minds of his generation, but because he is the perfect illustration of a interesting phenomenon : Asia is sending more and more students to America. The three major “sending countries are India, with 103,000 students (up 9 percent from last year); China, with 98,000 students (up 21 percent), and South Korea, with 75,000 students (up 9 percent).” (Source : Miami Herald, 21-11-2009). More and more, highly trained and skilled students are leaving their Asian homeland to study in the US and contribute to the development of science and technology. But this trend is also good news for the business sector because the most brilliant Asian students who are staying in the US will facilitate future contacts between Asian and American companies and universities. 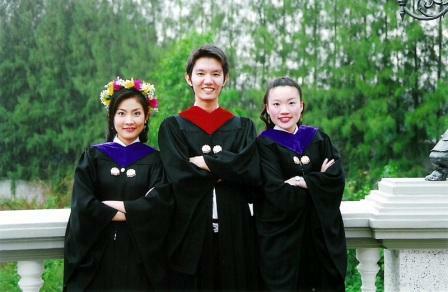 Moreover, most of these Asian student graduate in science and technology. This entry was posted in East/West and tagged America, Asia, China, developing countries, East/West, future, India, innovation, learning, new technology, Pranav Mistry, Science, South Korea, Student, technology, University. Bookmark the permalink. Pingback: Opel : une fermeture prévisible. Et après ? « Trouve ta voie !